Barcelona Sep 14 (IANS) Barcelona coach Ernesto Valverde on Friday said he has to rotate his players to cope with Barcelona s busy schedule in the upcoming weeks. During the next three weeks Barcelona is scheduled to play seven matches including UEFA Champions League encounters against PSV Eindhoven and Tottenham Hotspur reports Efe. "There are 7 games coming in 23 days and we will have to rotate to avoid injuries and be fresh. We have to bear in mind that there are just two days between the games " Valverde said at a press conference ahead of BarÃ§a s La Liga clash against Real Sociedad. The coach said he was relieved that his Argentine super star Lionel Messi as well as Spain s Gerard Pique and Pique s compatriot Jordi Alba did not go on international duty for their respective national soccer teams. Messi for his part preferred to take a break from international play and Pique retired from international football while Alba was left off of the Spanish national team roster. 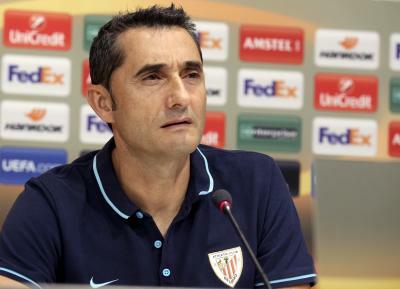 "The fact that some players did not have (to go through) this exhaustion (from international duty) is something you keep in mind as you have a margin to rest " Valverde added.